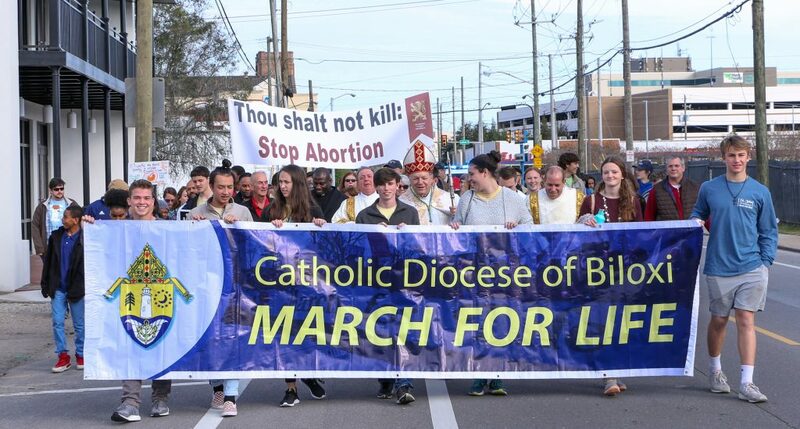 The annual March for Life in Biloxi, MS took place on Sunday, January 27, 2019. 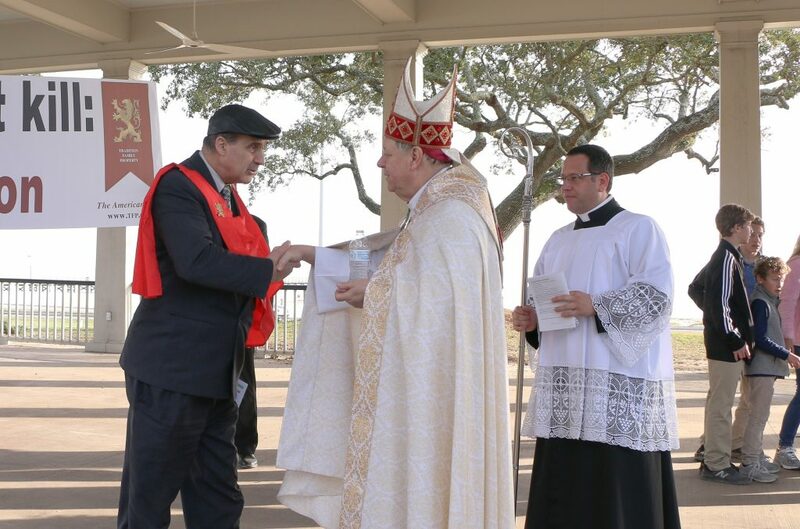 The event began at Nativity of Our Lady Cathedral in downtown Biloxi. 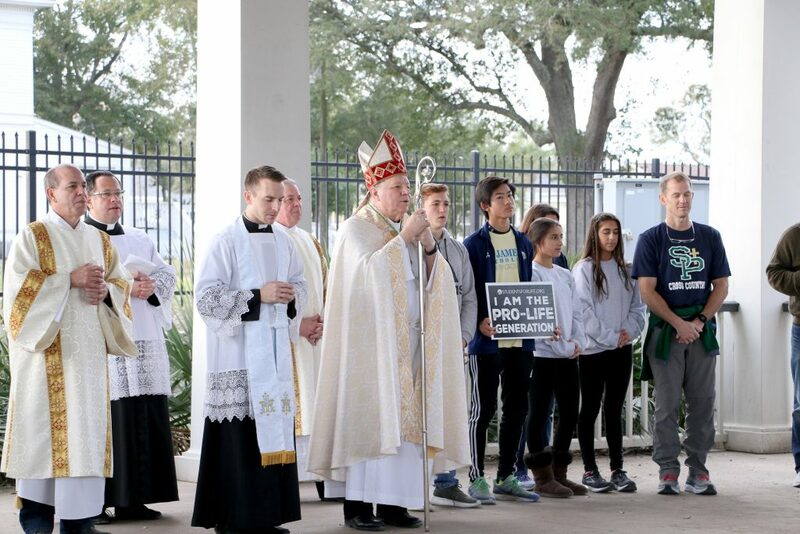 After a rosary in the church, the March for Life proceeded through the streets to the Biloxi Lighthouse on the Gulf of Mexico. 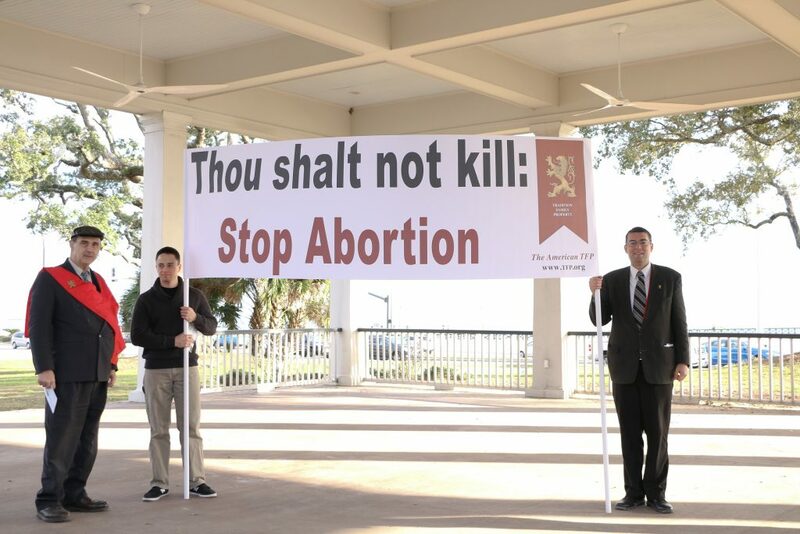 TFP Louisiana members carried a large banner with a clear message: ‘Thou shalt not kill: Stop Abortion.’ They also passed out flyers as at other March for Life events around the country. The message of persevering amid the present crisis in the Church was well received in this diocese recently rocked by scandal. Most Rev. 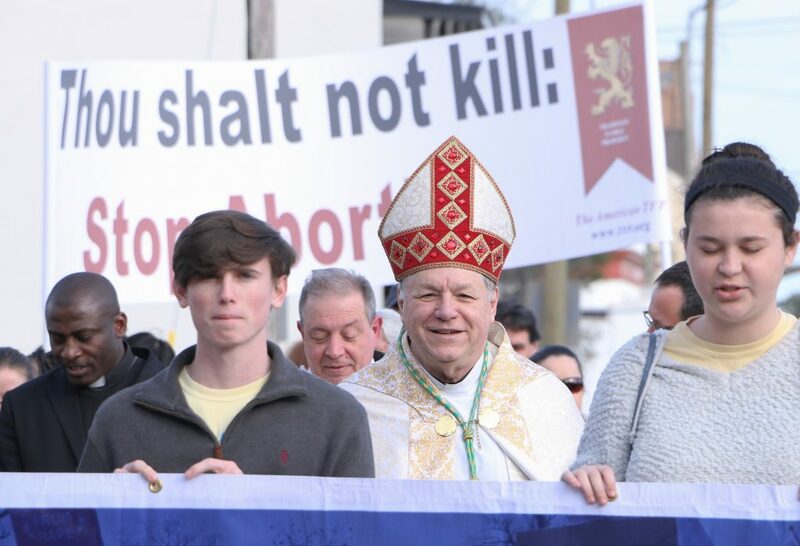 Louis Kihneman, Bishop of the Diocese of Biloxi, led the march dressed in full episcopal regalia. 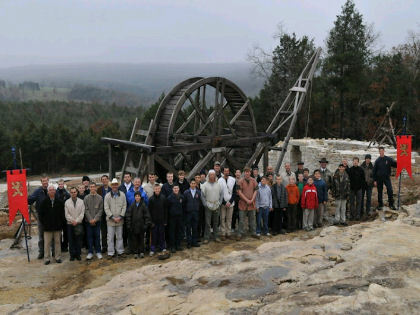 He was followed by a crowd of 150 people from different areas of south Mississippi. After reaching the destination, the bishop spoke briefly and imparted his blessing. The enthusiastic crowd marched back to the beginning. Only one abortion clinic remains open in Mississippi. The fight for a culture of life continues. May Our Lady of Fatima send the graces necessary to persevere.